It’s the most expected and special day of the year for the little one, it’s the kids’ birthday! The parents will want to make each and everything special for the kid on that day. In today’s busy schedules planning and hosting any party seems like a huge task! This is where the party organizer comes in and makes things very easy. Budget- the organizer keeps in mind the budget we have decided to spend and accommodates the best services required for the party. All the key elements like theme, cake and return gifts are all well taken care of. Time savers- last moment decisions do not deter the planners and even when they have a very short notice they are able to arrange everything in detail and with great care. Helps in choosing- usually parents have a particular theme in mind for the kids party. But in some cases like first birthday parties the organizers help us in guiding the best themes and cake designs for the party. They also help us in choosing the menu and make sure everything is just perfect for the little prince/princess. Innovative- people are always up for trying innovative things. All the organizers are highly creative and can suggest the most different yet unique designs for cakes and decorations. They also come with different games and shows for the kids at the party. 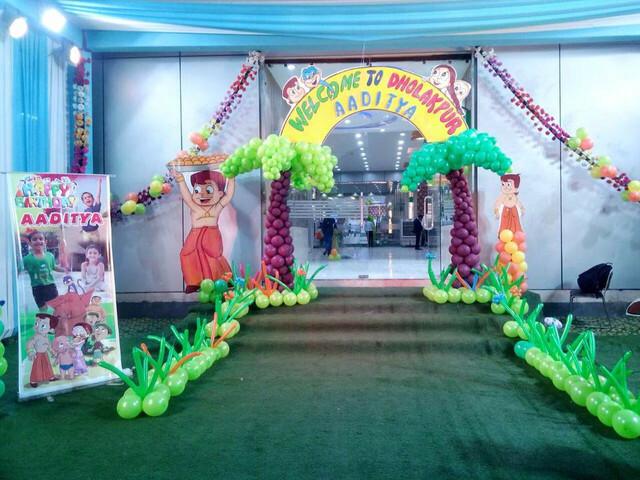 Food and shows- the organizer makes sure that they hire the best person for the kids entertainment shows like magic tricks, games involving role play that allows the kids to take part, and screening kids special short cartoon films. And when it comes to food they make sure that the menu is designed in such a way that both the kids and the guests enjoy the food. Return gifts- for choosing the pocket friendly yet useful return gifts one needs and eye for detail. The organizers do not miss to impress on this one too and make sure they have the best toy, stationery or even better handmade stuffs that kids will cherish forever! So hiring a birthday organizer is always the best option to make the birthday a real stunner and an event that will be cherished forever!! Belly dancers with the right experience and expertise!